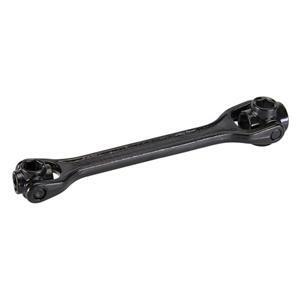 Hardened and tempered forged steel wrench. Go-through head for long bolts and studs, 15° offset head for easy access to bolts. Sizes: 10, 12, 13, 14, 15, 17, 19 and 21mm.